I'm one of those crazy planner people. I live out of my planner and panic just a bit if I can't find it. 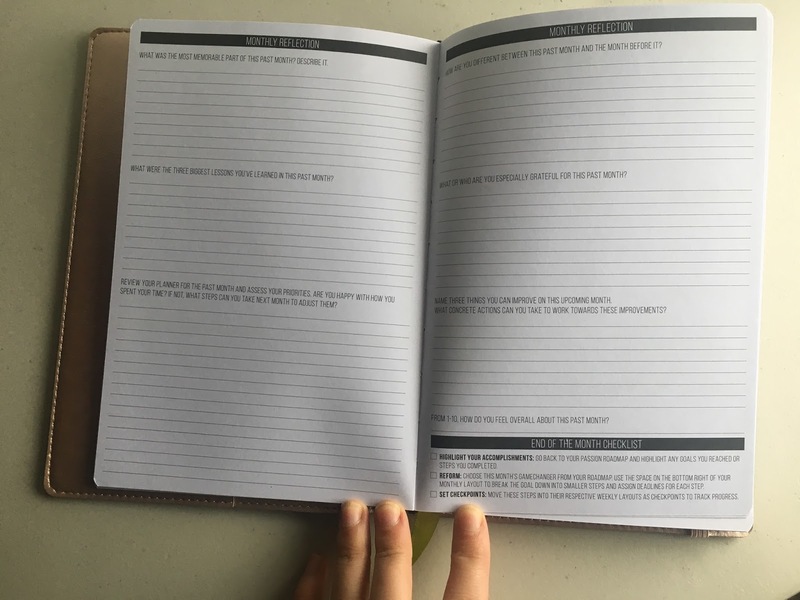 If something isn't in my planner then it isn't a priority, and if something has to be erased from my planner or moved to a different time/day then I get slightly irritated. 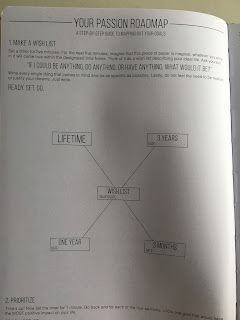 Back in high school, we were provided planners, but my biggest issue with them was the lack of time segments. I love planning out my day minute by minute. It helps me stay organized and on top of things if they have a specific time to be worked on and time to be completed by. 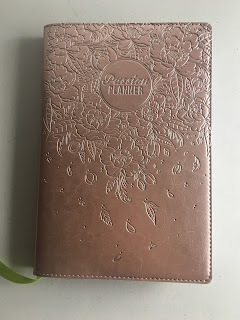 It took me a few years but I finally found a planner than meets my hourly requirement while still looking cute! Enter the Passion Planner. 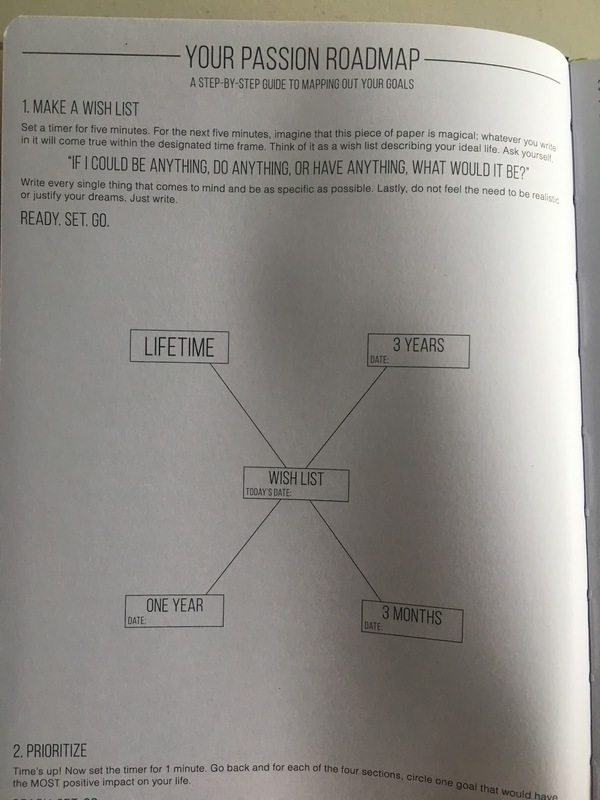 The Passion Planner is not your typical planner, it is more of a yearly roadmap and goal map than just a simple planner. The year starts out with the Passion Roadmap which helps you map out your goals for the next three months, the next year, the next three years, and lifetime goals. I love using this roadmap because it helps me figure out where my priorities should be for the entire year. 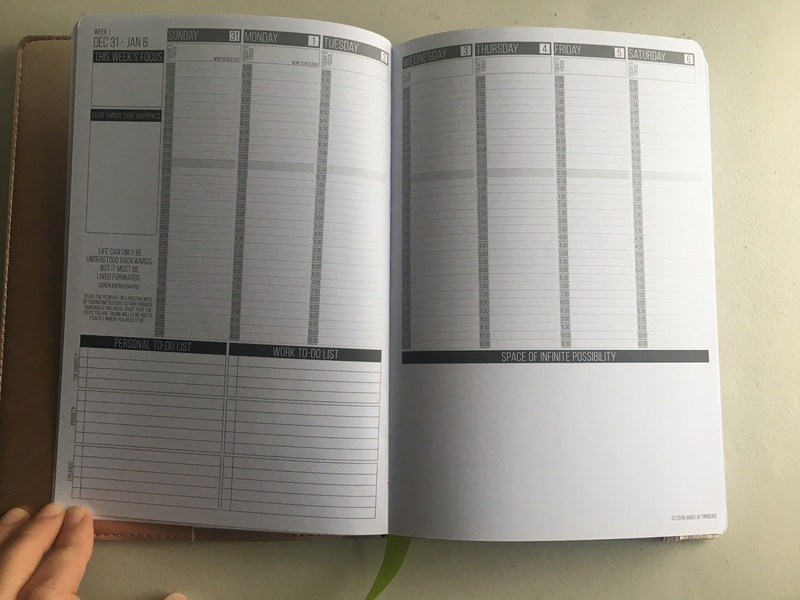 Each month in the Passion Planner is laid out in an overall month format and a week format. The month format has spaces for the monthly focus, in both personal and work life, people to see, places to go, a not-to-do list, personal projects, work projects, and a blank space for whatever you feel like entering this month. 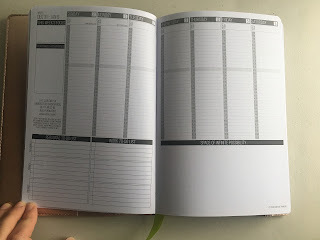 I like using the monthly format to track when major things, like credit card payments, are due, along with figuring out what my focus should be that month with Cupid. The week format has space for a weekly focus, good things that happen, work and personal projects, and a blank space for other items. It also includes a new quote each week, and some motivational advice. My favorite part of the weekly format is the 30-minute increments under each day between 6:00am and 10:30pm. This has really helped me stay organized between work, running, Cupid, crochet orders, and orchestral rehearsal and performances. 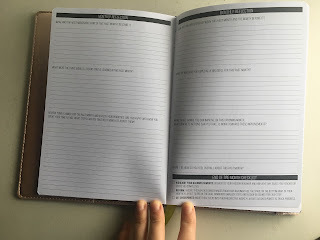 The final unique section of the Passion Planner is the Monthly Reflection. Throughout the month I'll use this to keep track of everything major that happens. 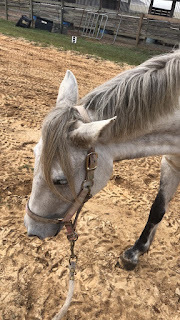 At the end of each month, it allows me to sit down and figure out if there is anything I should change or keep the same with what I have been doing. It's hard to believe that I'm already on day eight of the NYX Lippie Countdown. Today's preview showed a nice pale pink which is almost the complete opposite of yesterday's purple shade. When I opened the tab I was a bit disappointed to see another butter collection item. This time the lip color was from the Butter Gloss collection. Once applied this color is a nice, soft, pale pink. It is more of a tinted gloss than a lipstick, but it is very appropriate for almost any situation. This does retain a bit of a tacky feeling for quite awhile, but once that feeling ends it leaves behind a nice soft hint of color. This is not a long-lasting lip color, but because it is so subtle it is not one that is super obvious that it has worn off.